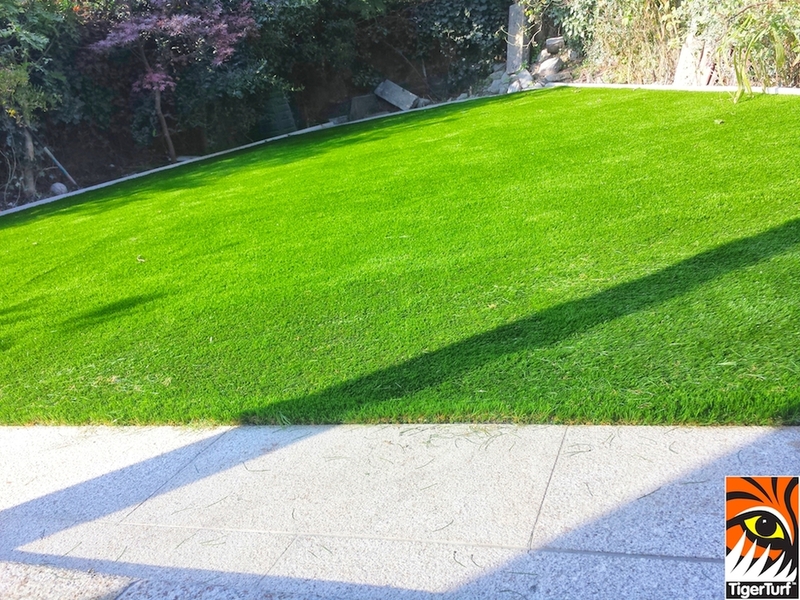 Finesse Deluxe in the Sunshine! 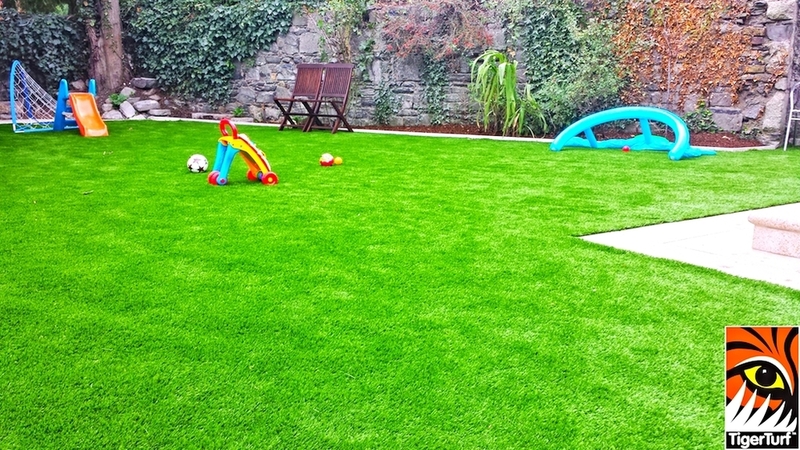 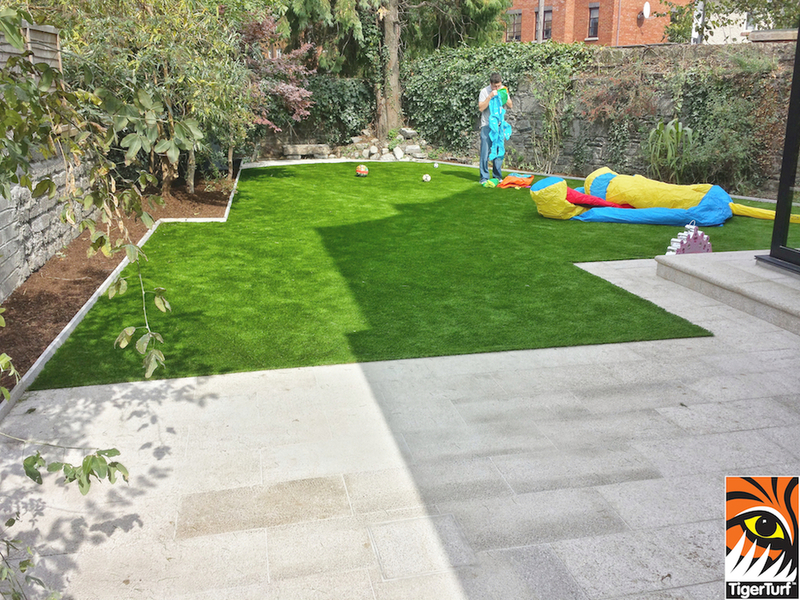 This installation was part of a comprehensive redesign to transform garden into a usable space for an active Dublin family. 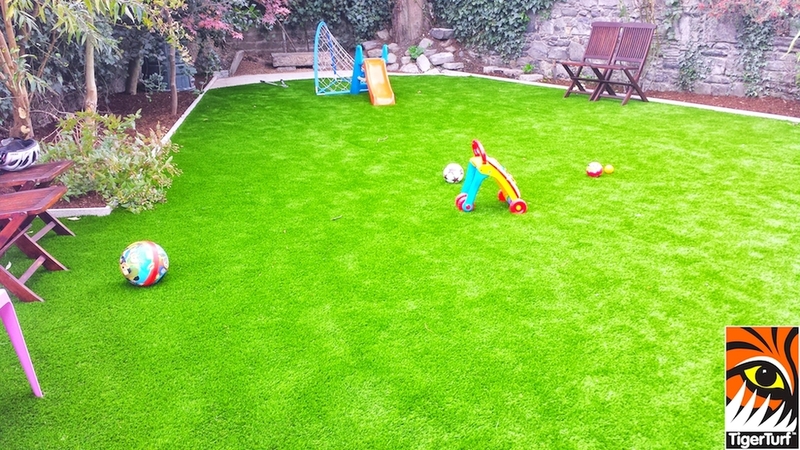 Having landscaped their parents garden Amazon and TigerTurf were invited to transform this clients suburban garden into a more functional family space. 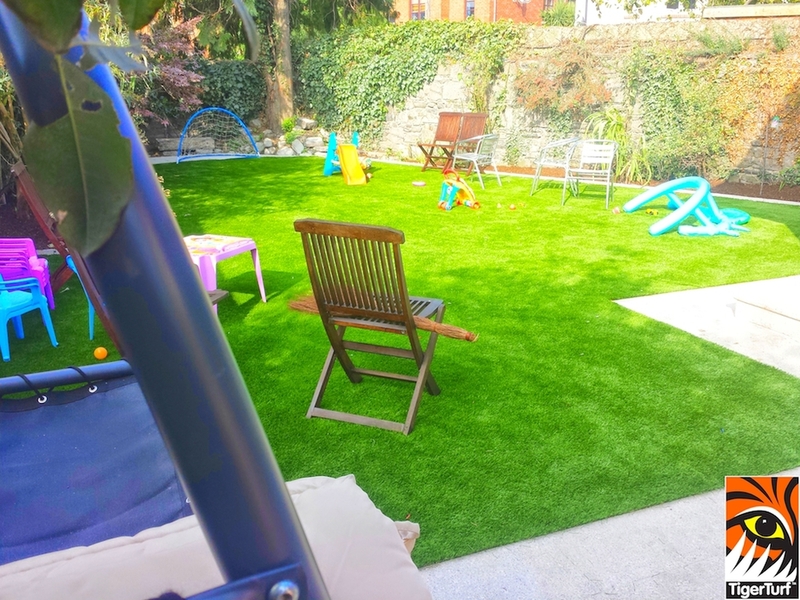 The property had surrounding landscape on three sides that was neglected in post build of recent extension. 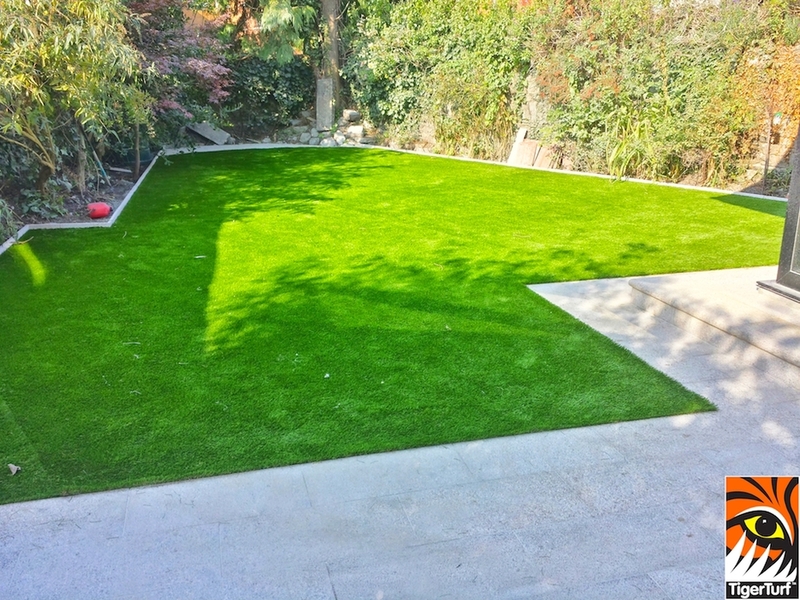 A natural Gold Granite Patio was paved around entire perimeter of house. 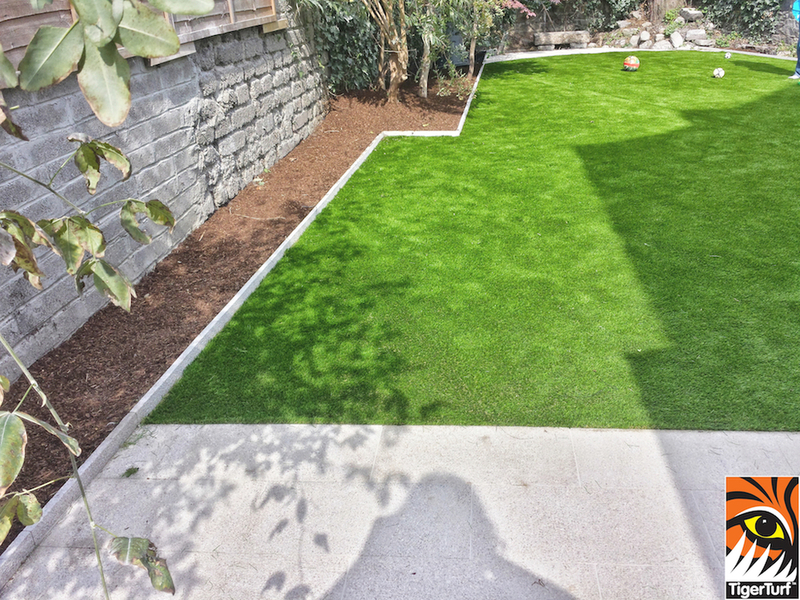 The paving was used as clinical boarders around flower beds and doubled to create a well defined lawn edging. 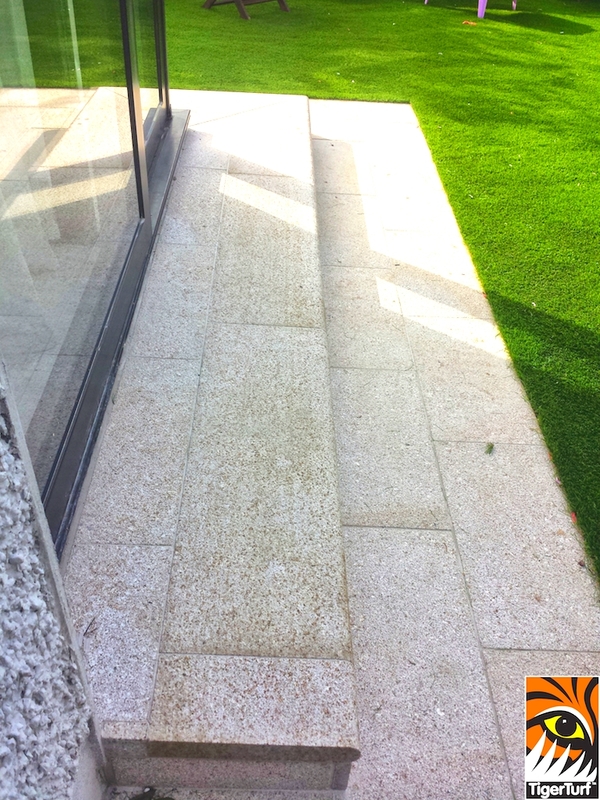 To the back of garden a central seat area was installed for a nice custom feature. 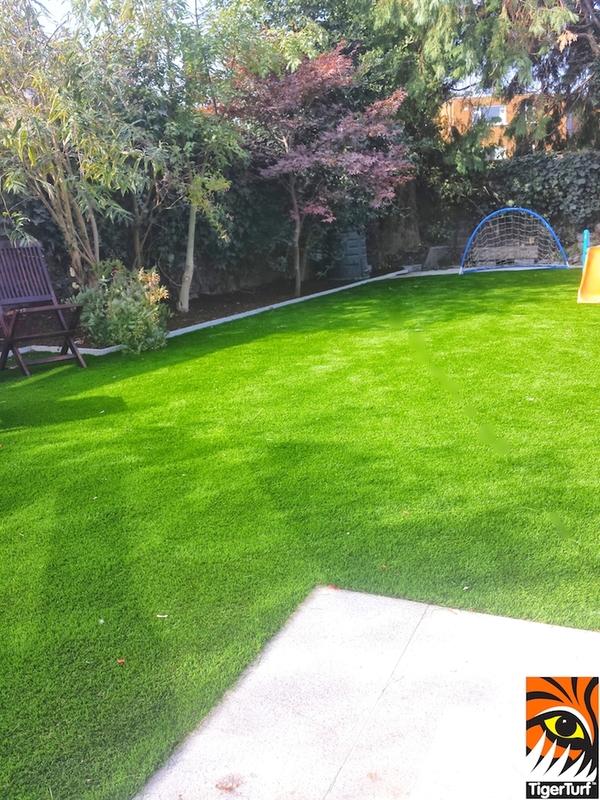 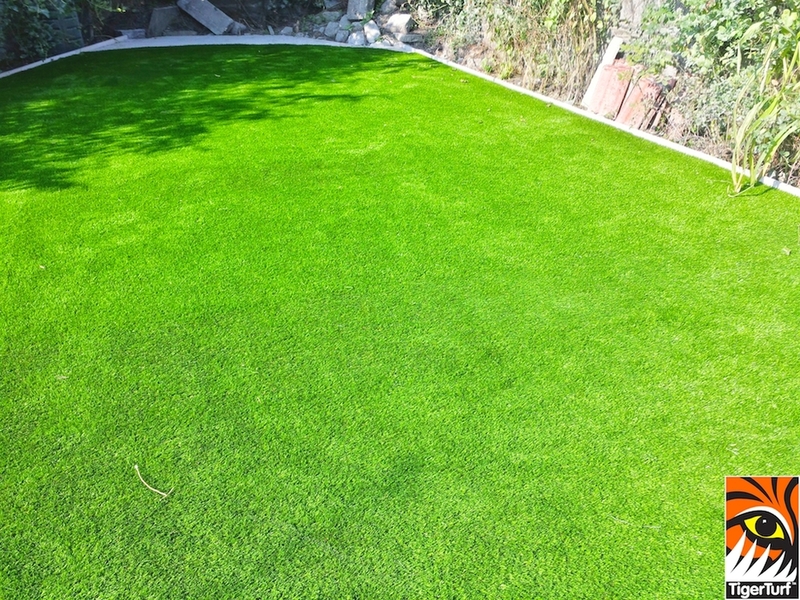 TigerTurf Finesse Deluxe grass was the final installation and completed the garden nicely. 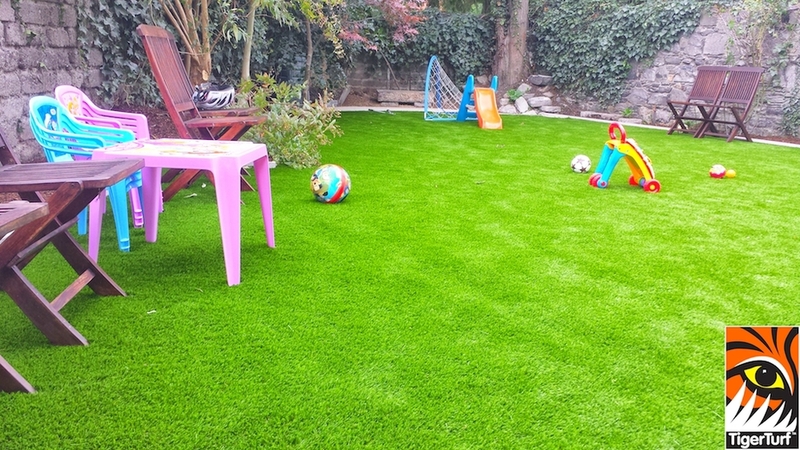 Recommended by my Parents and wasn’t disappointed with Results...great ideas and application.